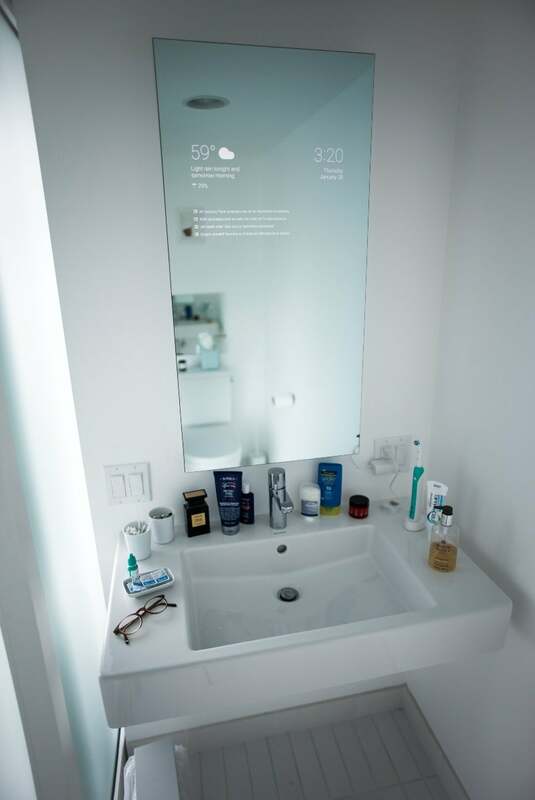 Smart mirrors still reside in the realm of tinkerers, only achievable for those who’ve mastered the art of DIY electronics. Which is too bad! Because Max Braun, a software engineer at Google, may have hacked together the first IoT device I actually want to buy. Braun uses a combination of Android and weather forecast APIs, along with an Associated Press RSS feed to create this informative pane of glass. Despite the mirror’s already impressive appearance, Braun still calls the project a work-in-progress. Inside, the mirror is still a jungle of wires with an Amazon Fire TV Stick at its heart running the Android API. Braun says that he’s still experimenting with “traffic, reminders, and essentially anything that has a Google Now card” to add to the mirror. So cool. Google. If you need moonshot projects that actually make money, this is it. I will buy it immediately. Just tell much money I need to throw at you.